This universal, light weight Billet Aluminum Optima Battery Mount facilitates the secure installation of an Optima battery (red, yellow, blue) in your race or modified street vehicle. 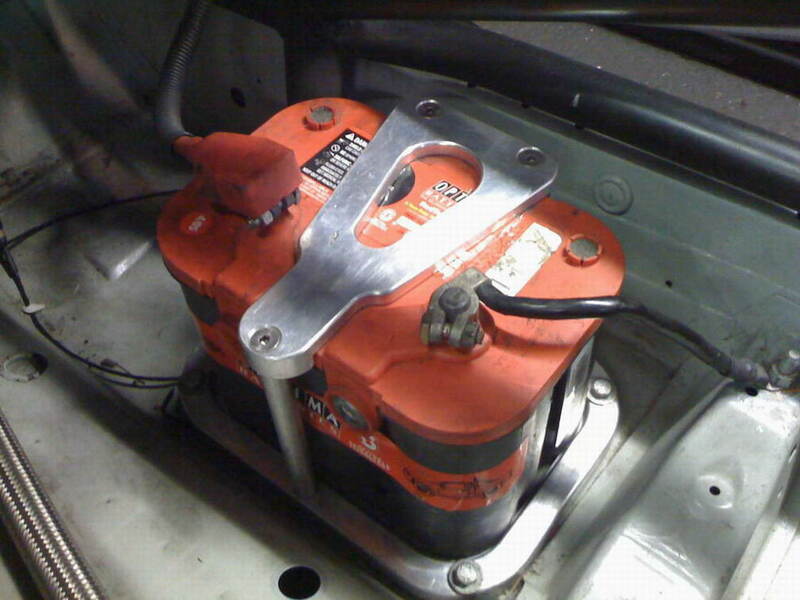 Ties down the battery securely for a worry free install. Lets you depend on the reliability of Optima when some other batteries let you down. Universal: installation needs room for a bolt down custom install.